Paperback, 2 vols., 5.5 x 8.5 in. / 192 pgs / 64 color. 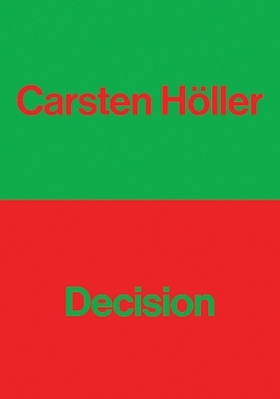 Carsten Höller: Decision consists of two distinctive publications examining the work of the acclaimed contemporary artist Carsten Höller (born 1961) and his particular interest in the challenges, outcomes and effects of decision-making. The first book contains a collection of newly commissioned short stories exploring the theme of decision-making by acclaimed writers Naomi Alderman, Jenni Fagan, Deborah Levy, Helen Oyeyemi, Ali Smith and Jonathan Lethem. The second book offers a photographic interpretation of the multiple ways of experiencing Höller's immersive work, accompanied by an extensive interview with the artist, led by Ralph Rugoff, Hayward Gallery Director and curator of the show. 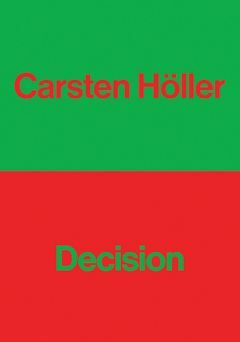 Beautifully illustrated and packaged, Carsten Höller: Decision offers an exceptional and stimulating visual and literary experience for lovers of art, fiction and human nature. FORMAT: Pbk, 2 vols., 5.5 x 8.5 in. / 192 pgs / 64 color.